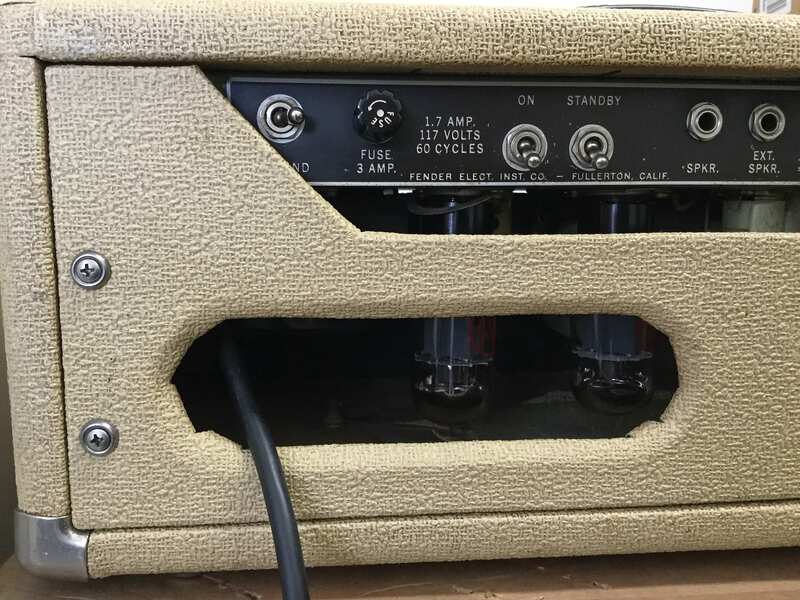 This amp is the Holy Grail of tone. When I purchased it, I plugged in my 1959 Stratocaster and literally played one E chord through it and said; “I’ll take it”. Suffice it to say, the amp works perfectly and sounds amazing! 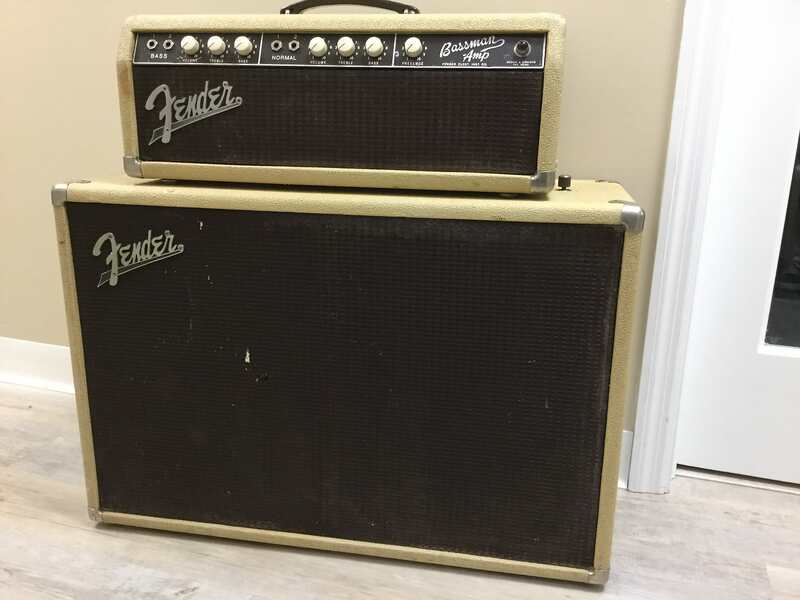 The condition of the amp is what you would expect from this era. 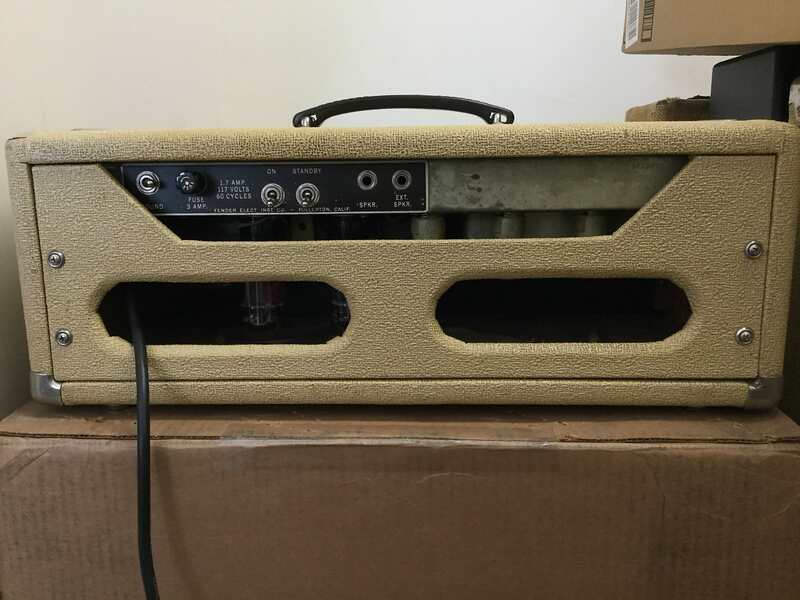 Nicely yellowed with the customary stains, yet the tolex is in great shape with little to no tears. The oxblood grill cloth is intact with some paint splatter and only one small tear in the speaker cabinet. The tilt back legs, Fender logos and “dog bone” handles are all in perfect shape. A three prong electrical cord was also installed. 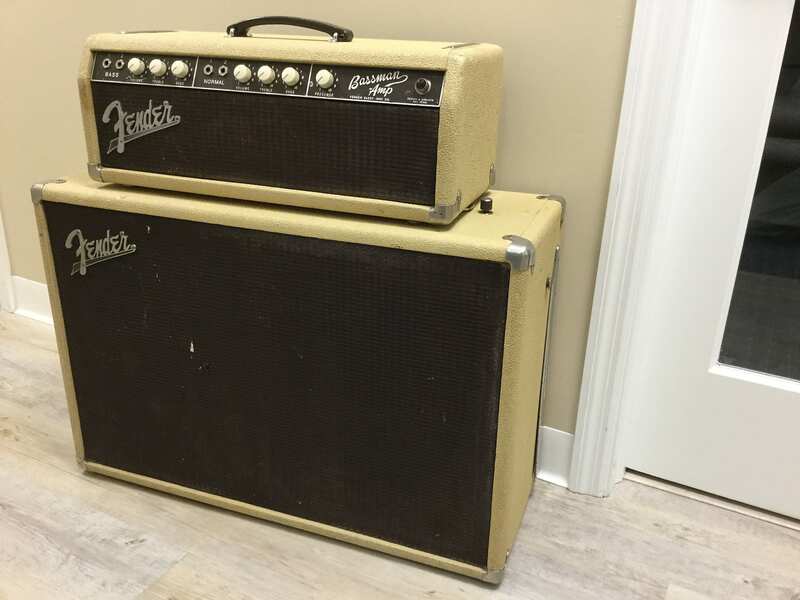 Now, I don’t know all the technical and historical details associated with this amp, nor am I the kind of guy who disassembles and photographs every crevice. 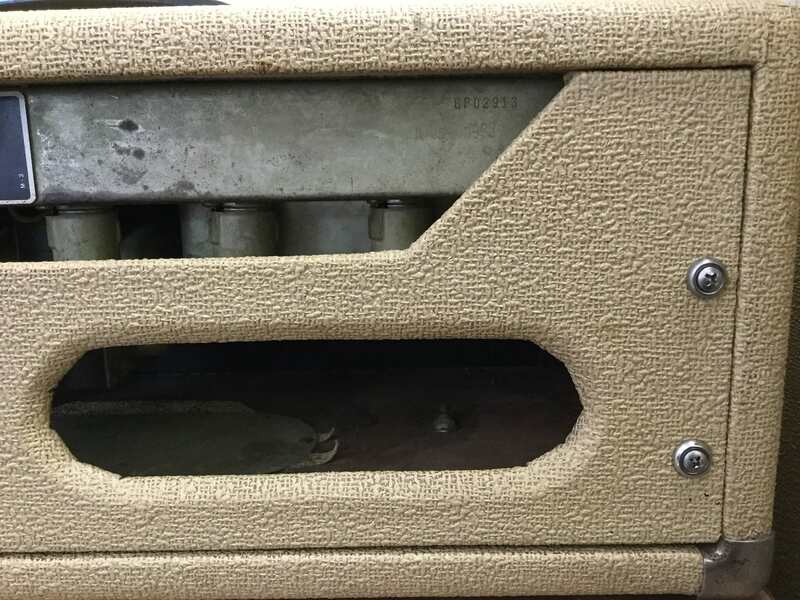 I do know that the previous owner had the head professionally serviced and replacement Jupiter 12” speakers installed in the cabinet. 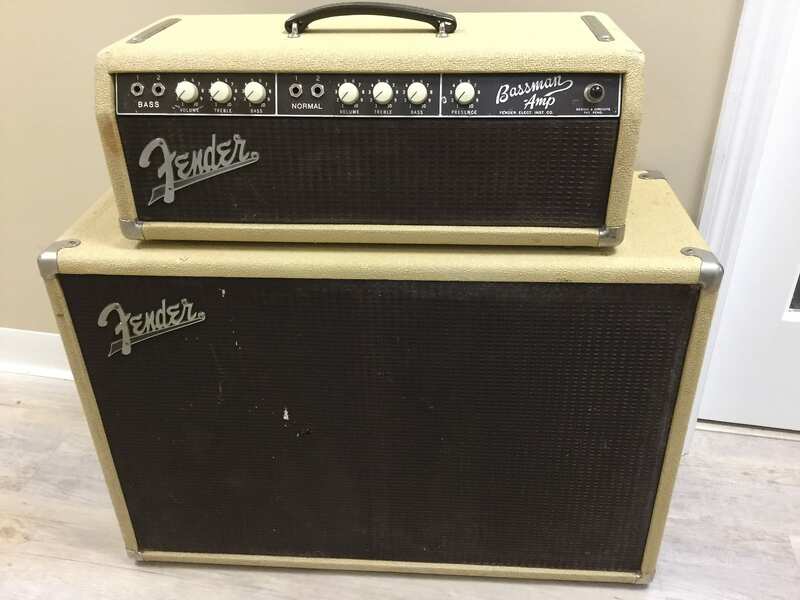 So, if you want to own a piece of history and enjoy incomparable guitar tone, then this is the amp for you! Based on purchase price of $2,800 at 10% APR for 12 months. Excludes tax and shipping fees, to be calculated at checkout. Rates range from 10-30% APR. Choose from 3, 6, or 12 monthly payments. Select Affirm at checkout to get started.